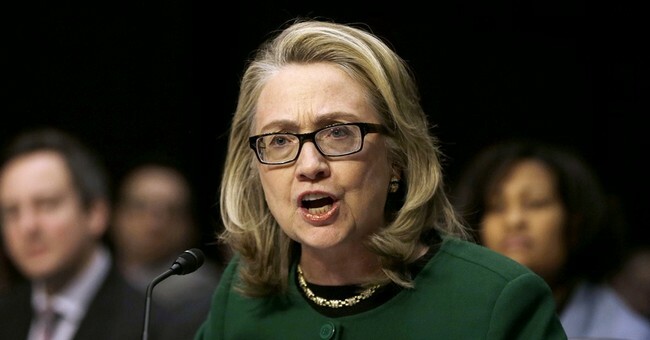 When former Secretary of State Hillary Clinton testifeid in front of the Senate Foreign Relations Committee in January 2013, Kentucky Senator Rand Paul asked if weapons were being trafficked from Libya, through Benghazi and to Turkey. Paul: Is the U.S. involved with any procuring of weapons, transfer of weapons, buying, selling, anyhow transferring weapons to Turkey out of Libya? Clinton: To Turkey? I will have to take that question for the record. Nobody has ever raised that with me. It turns out, those weapons were going to Syria, not Turkey. Today, Fox News' Catherine Herridge is reporting on documents showing weapons were in fact being trafficked between the two countries. Further, Herridge reports another aspect in which the White House lied about the attack. A Defense Intelligence Agency memo from Sept. 16, 2012, concluded that the Benghazi terror attack was planned at least 10 days in advance to coincide with 9/11 and was in retaliation for a drone strike that killed an al Qaeda strategist. The memo was copied to the National Security Council, the State Department and the CIA. Judicial Watch obtained the memos by suing in federal court. “The Obama administration says it was a coincidence that [the Benghazi attack] occurred on 9/11. In fact, their intelligence said it wasn’t a coincidence, and in fact, specifically the attack occurred because it was 9/11,” Judicial Watch President Tom Fitton said. An attorney for Clinton recently said the former Secretary is willing to testify in front of the Benghazi select committee, but only once. Chairman of the Committee Trey Gowdy has postponed that testimony.